Please use the links below to locate activities and events available in our area. Stay informed and learn more about upcoming events on our Blog. If you cannot find what you are looking for or would like some assistance, just call 1-866-4 CABINS (1-866-422-2467) or Contact Us with your request. Area Art & Photography Galleries - Blue Ridge is one of Americas top art communities! Explore North Georgia by Bike! This section will include detailed directions to off road trails and road ride route information. 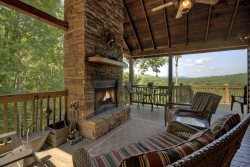 The Blue Ridge Adventure Center provides booking services, maps, and other accommodation services to all levels of adventure seekers throughout Blue Ridge and the surrounding North Georgia, Eastern Tennessee and Western North Carolina Mountains. Ride the Blue Ridge Scenic Railroad from Downtown Blue Ridge through the forest along the Toccoa River to McCaysville, GA on the Copperhill, TN State line. Find detailed information on festivals and Special Events in the North Georgia Mountains. Blue Ridge, GA is known for adventure! Surrounded by national forest, lakes, rivers and mountain streams. Find North Georgia Fishing and Hunting information here. North Georgia Golf Courses - List of Courses, Pricing, & Contact Information. Area Health Clubs & Personal Trainers - Helping you stay health while your on vacation. List of National Parks & Forests in GA, TN, & NC within 2 hours of Blue Ridge. SHARP Real Estate Services, LLC provides consultation and referrals to trusted real estate professionals & property service providers in the Blue Ridge mountain of north Georgia. Explore Blue Ridge. Find Bike, Canoe, Boat, Personal Water Craft, and Stand Up Surf Board Rentals in this section. List of Special & Unique Places in North Georgia, East Tennessee, and western North Carolina. Pick a variety of seasonal fruits. North Georgia, Eastern Tennessee, & Western North Carolina World Class Whitewater Outfitters and Outdoor Activity Centers. Located on Hwy 64 north of McCaysville, the Ocoee Whitewater Center was built by the U.S. Forest Service for the 1996 Olympic Canoe/Kayak/Slalom events. The information center displays legacy items from the Olympics. There are hiking trails, swimming holes, picnic areas, a native garden, gift shop and more.